Our slogan “Fietsen waar je blij van wordt” simply cannot be translated into English for the simple reason that the English language lacks a word which supports the double meaning of the word ‘fietsen’. I.e ‘fietsen’ means both the actual bike(s) and biking. We just love to build, sell and ride our bikes and enjoy it when we can share that joy with you. Recently we have acquired a dealership with the German bike manufacturer ‘Kalkhoff’. 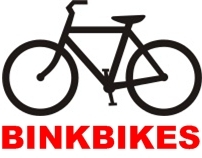 Their beautifull bikes add a new dimension of quality and biking fun to our business. Since 1919 Kalkhoff manages to keep ahead of the trends and introduce important innovations to the market year after year. Kalkhoff offers an affordable combination of traditional values and modern technology. Developed, tested and manufactured in Germany, these bikes will be in our Atelier starting next season! Just visit us and enjoy the ride!